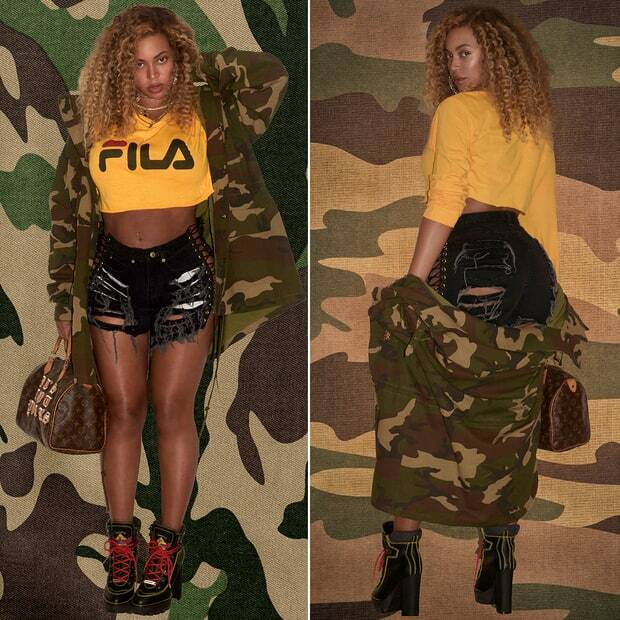 Beyonce slayed at Kendrick Lamar’s concert this past Sunday night in a FILA Crop Top, Distressed Denim Shorts, and a Camouflage Jacket. Can you guys believe she had twins, Sir and Rumi Carter, two months ago?! I don’t care what anyone says, Bey’s post-pregnancy body is bangin’ and the extra weight looks great on her.